I had it all planned out, you know? A super-fun day in a place we’d never been. I think there’s some special gene implanted within women with a propensity to plan, and after we have children it multiplies inside us. We are the great planners of fun, the shapers of vacations, the implementers of agenda. I had Googled, read area blogs, and taken the advice of Travel Advisor. Armed with an arsenal of fun plans for the day, I was determined to make the most of our mini vacay. After all, there’s nothing like packing two weeks of to-dos into two days. “Go to sleep,” I instructed my 8-year-old. “You’re going to be exhausted tomorrow. Her wide eyes stared at the ceiling with no sleepiness in sight. It all started out with me waking them up early, you know, so we’d have more time in the day for fun. I’ll give you a hint; it was a bad idea. Then they shunned the free breakfast I had picked up in the lobby. “You need to eat breakfast so you’ll have lots of energy for today,” I instructed. They picked at the protein-rich scrambled eggs and drank eagerly the sugar-laden apple juice. Two minutes after getting in the truck my 2-year-old exclaimed “hangerly” her hunger. The plan was to go to the aquarium first, and that’s what we did. I knew exactly how long we should spend there, and still have time to sightsee downtown Charleston. So when we entered the Kid’s Coast portion, complete with a sea-creature playground, I declined their request to play there. “We didn’t come to an aquarium to play on a playground,” I instructed. I pulled out my map with authority. We actually reached the end pretty quickly, and even with a 50 percent off discount, I was still astounded at the price we paid for such a short tour. Anything that’s fun to kids costs money. Yet what I wanted to do would be free! So off we went towards downtown Charleston. I couldn’t wait to soak in the architecture, cobblestone streets, shops, and aromas of local restaurants. It would be a while before we got there, though. We had barely fit into the aquarium’s parking garage with our huge, diesel, extended cab, long-bed, dually truck. As we tried and tried to find parking closer to downtown shops we realized the difficulty, and by the time we did park the kids were bored of circling blocks. “Why do we keep driving around? !” My 5-year-old whined. Of note, almost everything she said was a whine. And it wasn’t the first of the day by a long shot. “I love her. I love her. I love her.” I repeated it like a mantra to push away the thoughts of throttling. Later we walked the streets, after finding outdoor parking, and my husband pushed a stroller while I tried to corral the others. Everywhere cars zipped down narrow streets. In between keeping people alive, I enjoyed the beauty around me. I stopped to take pictures of old churches and firehouses. I looked up and saw my husband a block ahead, oblivious to my meandering, on his own personal mission. To where, I have not a clue, but I quickened my pace. It was only a couple of blocks before the fighting started. It didn’t take much for an argument to erupt between siblings. I don’t know, probably someone was breathing someone else’s airspace, or someone stepped on a crack and broke my back when someone else told them not to. My husband strolled on, silent. I always wondered why my name was the one most spoken. Around this point, I’m sure someone hurt themselves. Ran into one of those old, wall fire hydrants. Or slipped on a piece of air on the sidewalk. It’s hard to keep track. But someone got hurt and cried like their arm was cut off. “Wanna go in that open air market over there?” I asked excitedly. “Not really,” my husband answered. One of the kids had found a sidewalk toy display. Cue crying, whining, or something. Ok, yeah, we could eat. I looked at the different restaurants as we walked by. Lots of white linen tables. Nope, that wouldn’t do. I wasn’t sure why my oldest always wanted the most expensive thing on the menu. Heck, I wanted crab legs too, but I’d probably get a burger since I was so budget conscientious. “I would really like to go to the Waterfront Park,” I said. “What is that, and why?” My husband asked. He pushed the stroller on as he spoke, diaper bag dragging, my 2-year-old sticking her feet in the wheels every few yards, as they struck and struggled over fractured cobblestone blocks. “Why haven’t we seen a Starbucks around here?” My husband asked. I realized then that what was fun to me wasn’t as much fun to everyone else. I looked at my phone and informed everyone it was only 300 feet until we reached the Waterfront Park. Then we rounded the corner and I pointed it out ahead. I saw beautiful trees and a gorgeous walkway alongside the bay. Then I saw tired, hungry children, and a husband with a headache. 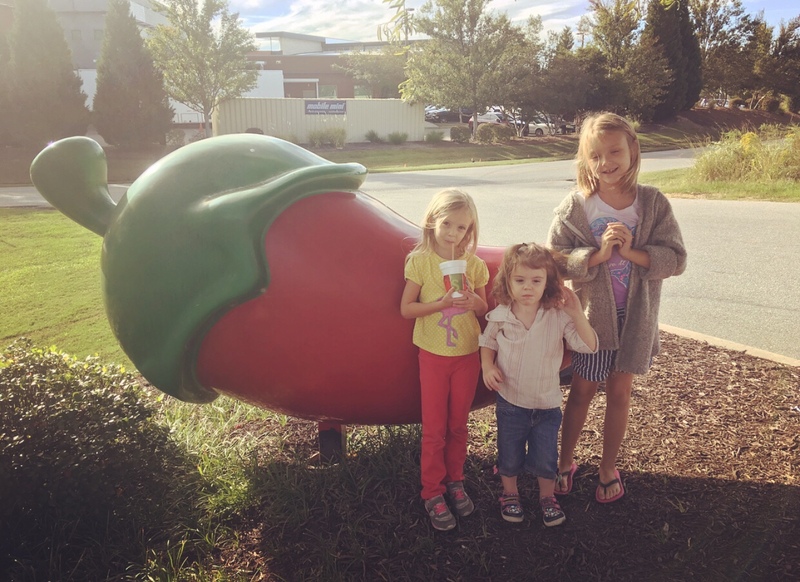 Things that I wanted to do weren’t always what kids wanted to do, and I realized my desires for this day trip might have been better enjoyed with girlfriends or my sisters. 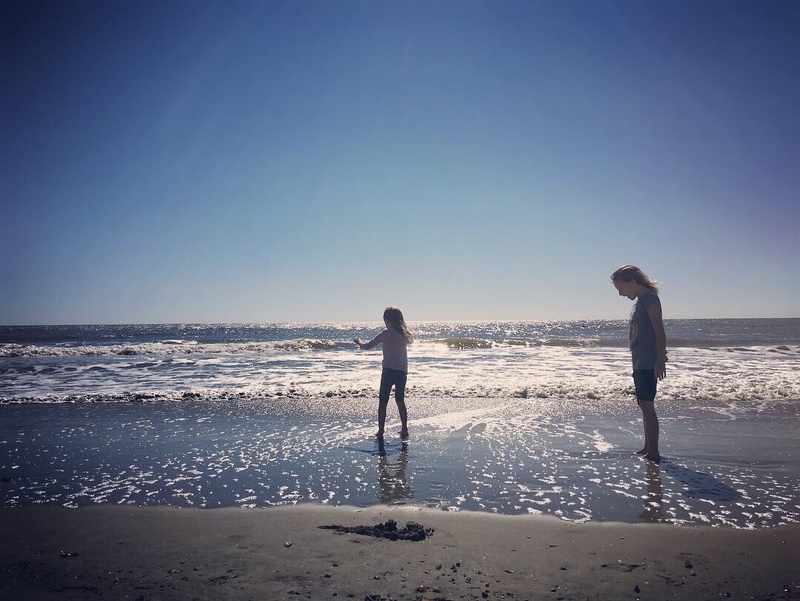 At some point along the bedraggled jaunt, with my kids whining and complaining the entire time, to the extent that I could hardly enjoy myself, I had thought some pretty angry things about them. Like, nothing worth mentioning. The day had definitely not gone as I had imagined. Sometimes I think we plan too much. We try to pack too much into a day, or assume everything must go according to plan, following an exact agenda. We want our children to enjoy it [as] we imagine, but kids seem to enjoy things on their own personal agenda. It’s why babies play with boxes over the toys that came in them. And I realized he was right. Sometimes a lot of times raising children is enjoying the highlight reel. There’s so much whining! But then there’s musical laughter. There’s so much crying! But then there’s happy smiles that cannot be rivaled. There’s so many tantrums! But then there’s hugs. There’s “I love you,” and my favorite, “you’re the best mom ever.” Parenting is hard, but then it’s awesome. Motherhood is exhausting, but it’s also somehow worthwhile. It’s like when you see the excitement in their eyes, the infuriating rush out the door is forgotten. When you look at their enchanting, sleeping face, the frustration of bedtime routine is pushed aside. You look later at the amazing photograph you captured, and the struggle to get to that moment seems like nothing. I’ve discovered that some of our most enjoyable times as a family are the ones that just happen, not the ones I plan. 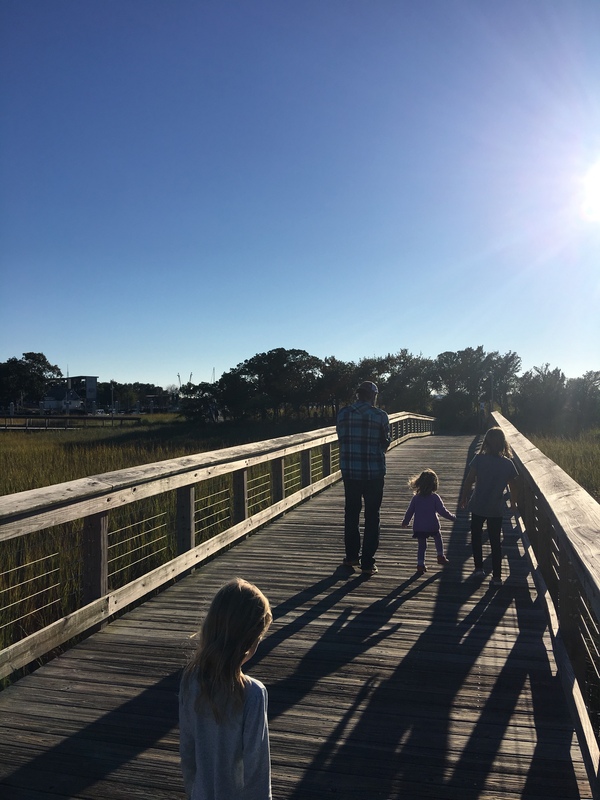 The day before, a stroll on the boardwalk over the saltwater marsh had been magical and full of pattering feet and laughter. The last-minute detour to the seashore earlier, as they splashed eagerly in the cool ocean, their laughter competing with the music of the ocean roar, it had been a perfect day. Sometimes that’s what you hold onto in parenthood. Those practically perfect moments that just happen, like an unexpected present on a regular day. Raising children is hard enough on its own without us trying to plan it to death, package it like we think it ought to look, or inject into it the things we think our children need to enjoy themselves. Heck, give kids a pile of dirt and they’re good. So here’s to getting dirty and learning from mistakes. It’s an on-the-job training kinda gig. You can’t always plan a fun day with kids. In fact, usually you can’t. You just have to plan on taking it as it comes. And that’s usually the fun part.